As managed IT services become the new norm for SMBs, more companies are switching from their increasingly outdated break-fix models to a managed system where their entire IT infrastructure is managed by a professional team. There are plenty of benefits to managed IT, but the switch to a new system can be daunting—particularly when hidden costs pop up. The precise costs of a managed service provider migration are hard to pin down. Many are indirect; MSPs usually charge per seat, and may be more interested in selling the contract than detailing the incidental transition costs. With that in mind, we’d like to review a few of the costs you can expect during your migration. MSPs often charge an “onboarding” fee equal to the first month of service. This process involves transitioning all services and software platforms to the new server as well as transferring documentation from one system to the other. This includes structuring and noting processes consistent with the standards of organizational entities, such as the Information Technology Infrastructure Library (ITIL). The above documentation is crucial for getting migrations completed on time. If your current company (or current MSP) has none of this documentation in place, it can significantly extend the transition. Keep an eye out for scope creep that goes beyond your service-level agreement and make sure your managed service provider is transparent about their transition processes. 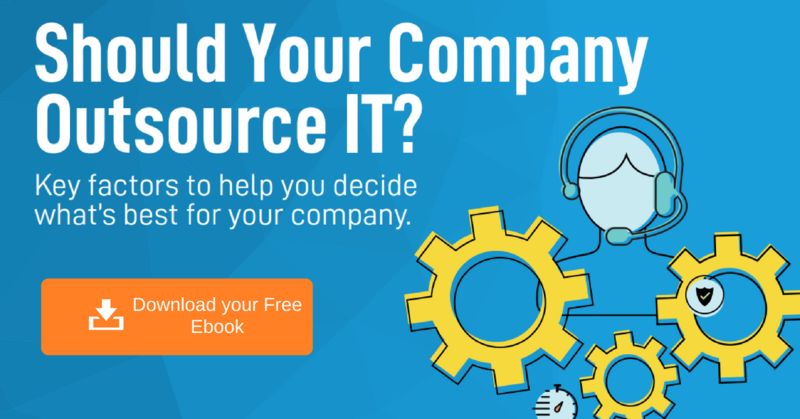 Organizations that rely extensively on licensed software, third-party tools, and developer partnerships need to handle migrations with care. Certain services, software platforms, or solutions may be proprietary. This means they’ll require specific workarounds to integrate into a new system—and will often need to be managed as a separate project. While hidden costs can sneak into almost any migration, quality managed service providers will work with you to make sure you know what you’re getting into. In most cases, the switch from a break-fix model to managed services will support improvements to your infrastructure, business capabilities, and end-user support—making the migration well worth the cost.